The former DWTS winner revealed the news on social media. 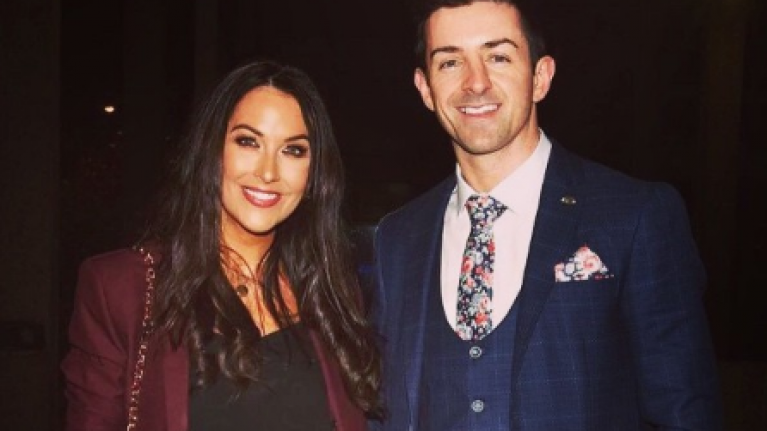 Huge congratulations are in order for former GAA All-Star, Aidan O'Mahony and his wife Denise Healy who just announced they are expecting their second baby. The 38-year-old revealed the happy news on social media yesterday in a snap that features Aidan cradling his wife's baby bump and kissing her cheek. "Our spring baby waiting to be unwrapped , exciting times ahead for us & big sis Lucia. Roll on March 2019." "Anyone in the country, if I can do dancing, after this they can do anything." He included the detail that Denise is six months along, so almost into her third trimester. The mum of one looked stunning in a black jumpsuit teamed with a sequin gold jacket. "Oh such a beautiful gift your waiting for , best wishes to your family. Maybe a Kerry full forward in the making." The couple already have one daughter, Lucia, who they welcomed into their family last year. We're delighted for the pair and can't wait to see if they're having a girl or boy. Who knows, maybe they'll have Aidan's dancing ability too!